A tool used by professionals, this enables you to prepare your shot list digitally, share it easily and change it in real time, responding to changes on set. Another filmmaking software from this developer you wouldn't want to miss is Script Speaker which converts scripts to mp3 files so filmmakers can listen to their script anytime, anywhere, on any smart device. Along with Shot Lister, it's a great time saver. It’s difficult to keep up to date on getting yourself paid when you’re on the move filming. This free, easy-to-use app will get your invoices produced in a few clicks of your phone, meaning you don’t ever have to worry about payment again. Artemis Director's Viewfinder is an app used prolifically by filmmakers as it can reproduce camera, aspect ratio and lens combinations from the comfort of your phone. It enables you to block filming and make storyboards while you are out and about. 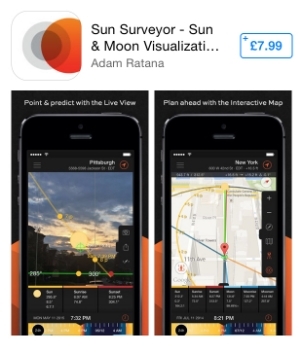 The perfect app if you are shooting in natural light – this app predicts the location of the sun and can be hugely helpful when you are scouting for locations and planning. Wattpad is the online reading platform for readers and writers. An ideal place to seek out stories when you’re in need of some inspiration. Wattpad is the online reading platform for readers and writers. Artemis enables you to block filming and make storyboards while you are out and about. Sun Surveyor predicts the location of the sun and can be hugely helpful when you are scouting for locations and planning. Shot Lister enables you to prepare your shot list digitally, share it easily and change it in real time. Albert will get your invoices produced in a few clicks of your phone. Older PostThe cheapest way to get clientele.